Defense News Early Bird Brief for Friday, December 16, 2016. Defense News Early Bird Brief for Thursday, December 15, 2016. Military Times: Veterans groups: “We cannot afford to start over’ with new VA leadership. A coalition of 20 veterans groups on Wednesday upped their efforts to keep Veterans Affairs Secretary Bob McDonald on into the next administration, warning President-elect Donald Trump that “we cannot afford to start over” given department reform progress in recent years. The Huffington Post (The Blog): Concerned Veterans of America – A Wolf in Sheep’s Clothing. The Department of Veterans Affairs (VA) has its fair share of challenges—no one disputes that. Still, over the last two years under Secretary Bob McDonald, VA has made irrefutable progress through the MyVA transformation. But you would never know that if you listened to the rhetoric of the politically motivated advocacy group calling themselves Concerned Veterans for America (CVA). DoD Unveils Redesigned National Resource Directory: The National Resource Directory (www.nrd.gov), a website that provides access to services and resources at the national, state and local levels, unveiled an updated design and layout this week. The updates were implemented to make the site more user- friendly for the thousands of service members, veterans and family members who use the Directory each month. U.S. Forest Service Hosts Online Hiring Event for Veterans and Persons with Disabilities, December 16-20, 2016. December 16 – 20, 2016. Please see attached pdf for details. The Forest Service is excited to hire excepted service eligible applicants, such as Veterans and persons with disabilities (Schedule A).  Applications will be accepted on www.usajobs.gov Thanks to our friend Ted Daywalt, President, VetJobs, and USN Captain (Ret), for getting this information to us. Thanks Ted! American Legion ONLINE UPDATE for Thursday, December 15, 2016. Reserve Officers Association (ROA) SmartBrief for Friday, December 16, 2016. Reserve Officers Association (ROA) – Reserve Voice Legislative Update for Thursday, December 15, 2016. DOD Contracts Awarded on Friday, December 16, 2016. DOD Contracts Awarded on Thursday, December 15, 2016. New York Times To Protect Civilians, Pentagon Tightens Rules on Combat. The Pentagon has revised a 2015 manual for waging combat while obeying the international laws of war, tightening rules for when it is lawful to fire on a military target even though civilians are nearby. Associated Press Trump team: He gets formal intel briefings 3 times a week. Donald Trump’s transition team said Wednesday that he is getting formal intelligence briefings at least three times a week, despite his assertion that he doesn’t need frequent briefings. Stars and Stripes Top US commander in Europe meets with Ukraine troops, officials amid Russia tensions. The top U.S. commander in Europe visited Ukrainian front-line troops and defense officials as tensions with Russia continue, the Pentagon announced Thursday. Stars and Stripes Stateside housing allowances to rise an average of 2.4 percent. Basic Allowance for Housing (BAH) paid to a million servicemembers living off base in the United States will climb an average of 2.4 percent, or about $41 a month, on Jan. 1. Actual increases for individual BAH recipients will vary by Military Housing Area, pay grade and dependency status. AUSA Radical Change is Coming: Gen Mark A. Milley Not Talking About Just Tinkering Around the Edges. Sitting at the edge of the unknown isn’t an easy place, but Milley said soldiers need to embrace change without necessarily knowing where it leads. Marine Corps Times Osprey flights in Japan suspended after crash. The commander of Marines in Japan has temporarily suspended flight operations for MV-22B Ospreys after an Osprey crashed Tuesday off Okinawa. DefenseOne The US Navy’s Autonomous Swarm Boats Can Now Decide What to Attack. In a recent demonstration, waterborne robots collaborated to identify, surround, and harass an enemy vessel. Defense News Morale Improving, But Sustainment Problems Still Dog Air Force’s Nuclear Enterprise. Years after several scandals shook the US Air Force’s nuclear enterprise to its core, measures put in place to bolster morale, better equip airmen, and improve training and testing seem to be taking effect. But operators at the missile bases say there is still work to be done, particularly with regard to sustaining the aging missile-launch facilities that are becoming more difficult and expensive to maintain. Los Angeles Times Army audits find National Guard bonus repayment problems in at least four other states. Pentagon audits found widespread problems in enlistment bonuses given to soldiers in several National Guard units across the country, but soldiers facing repayment demands in those states won’t be eligible for waivers. Stars and Stripes: Advocates: Fairness for Veterans Act is only one step in fight against ‘bad paper’ discharges. While a measure protecting veterans with service-related conditions from receiving other-than-honorable discharges has made its way to President Barack Obama, advocates who led the effort to get it there want more to be done for the thousands of veterans they say were unjustly released. CNN (Video): Trump has time for Kanye, but where’s his promised focus on Veterans issues? In 2014, the nation watched in outrage as the Veterans Affairs scandal erupted in Phoenix. When the widespread failures surfaced and later VA Secretary Eric Shinseki resigned, a massive void was left to be filled and a huge undertaking needed to turn around the second largest government agency. VA’s brand was shattered. Every veterans group in America was pleading for overdue reform and a 21st century VA.
FOX News (Video): Veterans split on asking Trump to keep VA boss in the job. This two-minutes video looks at the debate over Department of Veterans Affairs reform progress under Secretary Robert McDonald. ABC News: VA Secretary ‘Most Difficult’ Position to Fill in Trump Cabinet, Transition Team Official Says. President-elect Donald Trump made veterans’ issues a centerpiece of his presidential campaign. But selecting a leader for the Department of Veterans Affairs will be one of the final decisions to round out his cabinet. Transition sources say Trump is still considering a number of different candidates, from Trump loyalists to retired military officials, ahead of a self-imposed goal of the end of the week to finalize his cabinet. The Hill: Trump considering Navy Adm. Michelle Howard to run VA. President-elect Donald Trump is considering Navy Adm. Michelle Howard to head the Department of Veterans Affairs, the New York Times’ Maggie Haberman reported Thursday. Howard, who serves as the commander of U.S. Naval Forces in Europe, was the first African-American woman to command a U.S. Navy ship. Earlier this week, a group of 20 veterans organizations sent a letter to Trump asking him to “strongly consider” keeping Veterans Affairs Secretary Bob McDonald. Tampa Bay Times: Is Trump passing on Rep. Jeff Miller as VA Secretary? Miller has not shown up at Trump Tower, at least to the knowledge of reporters, at the same time other names have come to the forefront. On Thursday, Pete Hegseth, founder of Concerned Veterans for America, was seen taking the elevator up to where Trump is filling out his administration. Washington, Examiner: Trump to meet with Veterans Affairs Secretary contender. President-elect Trump will meet Thursday with Pete Hegseth, Fox News contributor and former CEO of Concerned Veterans for America, as he continues to weigh contenders for the Veterans Affairs secretary post. Hegseth is a rumored front-runner for the VA’s top job, which is one of the final Cabinet positions for which Trump has yet to name a nominee. Washington Examiner: Department of Homeland Security, Veterans Affairs the worst places to work in the government. The Department of Homeland Security and the Department of Veterans Affairs were once again named the worst two federal agencies to work for in an annual survey, leading DHS Secretary Jeh Johnson to say he’s “disappointed” in the result. DHS in particular has been trying for years to boost the morale of its workforce, and has so far seen limited improvement. The Wall Street Journal: VA Nurses Given Increased Patient Care Authority in New Rule, Qualified nurses will be allowed to treat patients independently of doctors, as the VA seeks to alleviate staffing shortages. The Department of Veterans Affairs will allow qualified nurses across the nation to treat patients without the supervision of a physician, a decision that the department said can help alleviate staffing shortages. The rule change will give certain groups of certified nurses the ability to see patients independently of doctors and to carry out functions such as ordering and supervising lab tests, activities that under current rules only are allowed in certain states. The Huffington Post (The Blog): 7 Things You Need To Know About Veterans And Healthcare in 2017. The pent-up reforms needed at the VA combined with the new Administration, have set conditions for massive change. For example, there are 12.5 million non-elderly veterans. Among these, two-thirds of veterans are eligible for VA health care, but only one-third are enrolled. What if they decide to take advantage of their VA healthcare and prescriptions? WTVM (ABC-9, Video): Dept. of Veterans Affairs provides pre-burial eligibility. The U.S. Department of Veterans Affairs announced that it now provides eligibility for burial in a VA national cemetery prior to the time of need. Pre-need eligibility will streamline access to burial benefits that veterans have earned through military service for themselves and their eligible family members. This will also help veterans and their families with pre-burial planning. KHOU (CBS-11, Video): Disabling Dollars: The Department of Veterans Affairs Pays Out Billions Each Year to Veterans Who Suffered and Injury or Illness During Their Service, Yet Critics Say the Century-Old System Has Strayed Far From Its Mission. There are more than four million veterans who claim disabilities due to their service. Their conditions range from PTSD, hearing loss, sleep apnea, erectile dysfunction to a lost limb, among hundreds of others. The Department of Veterans Affairs pays $60 billion a year for disability compensation. The century-old program gives veterans, in some cases, up to $40,000 per year in tax-free money. KAMC (ABC-28): Military Veteran, 79 Pleads Guilty After Admitting He Hugged, Kissed a Nurse. Jimmy E. Davis, 79, pleaded guilty Monday in Lubbock federal court to a misdemeanor assault. He was sentenced to one year of probation. Davis is a veteran, and court records said in October 2013 he was receiving medical service at the Veterans Affairs Outpatient Clinic in Lubbock. Two-and-a-half weeks after Davis visited the clinic, he was approached by Levelland Police and a Special Agent with the VA’s Office of Inspector General. St. Louis Post-Dispatch: Ex-employee, contractor at St. Louis VA admits $270.000 fraud. A former employee and contractor for the John Cochran VA Medical Center in St. Louis pleaded guilty to a federal felony charge of conspiracy to steal government funds Thursday and admitted involvement in a fraud that cost the government more than $270,000, prosecutors said. Scott Geary, 54, of De Soto, initially worked as an outside contractor for the VA, and conspired with a VA official to bill for unnecessary work, Assistant U.S. Attorney Tom Albus said court. New York Times Veterans Help Make San Diego a Hub for Start-Ups. Here, the high concentration of military bases has turned the region into a growing entrepreneurial hub for veterans. Associated Press Military wife gets creative for family Christmas photo. A military wife and mom in Colorado has come up with a unique way to include her deployed husband in this year’s family Christmas photo. The Hill Iran to build nuclear-powered vessels in response to US ‘violation’. Iran announced Tuesday that it will instruct its scientists to create nuclear-powered marine vessels in response to what it sees as a U.S. “violation” of a nuclear agreement with the nation. The Hill Electoral College voters under intense pressure. The 538 delegates to the Electoral College will gather at governors’ offices and statehouses across the country Monday to make President-elect Donald Trump’s victory over Democrat Hillary Clinton official. Army Times Congressman joins push to secure presidential pardon for imprisoned Army lieutenant. Just over three years into his 19-year sentence, and on his 32nd birthday, the mother of Clint Lorance, a platoon leader convicted of giving his soldiers the go-ahead to shoot and kill three unarmed Afghan civilians, is making a plea to President Obama to send her son home. Marine Corps Times Marine Osprey crashes near Okinawa, crew members rescued. An MV-22B Osprey crashed in shallow water off Okinawa, Japan, on Tuesday, the latest in a series of Marine aviation mishaps. Breaking Defense F-22s Coming To Australia Next Year: PACOM’s Adm. Harris. While it will be a short deployment, Australia and the United States have agreed to deploy America’s most advanced fighter next year as part of the Enhanced Air Cooperation (EAC) Initiative that has seen B-2 bombers and other advanced American aircraft deployed to the lucky country. Stars and Stripes Military spouses struggle to stay in careers despite state laws. Florida and all other states passed laws in the last five years meant to help military spouses who already have occupational licenses to quickly get back on the job after crossing state lines. But it’s unclear if these laws have made a difference. The Washington Post: Trump skipping his press conference to focus on his picks for Agriculture and the VA. Energy secretary is generally one of the last Cabinet positions to be filled by presidents-elect, or so it’s been since Ronald Reagan was staffing up in 1980. Energy, Interior, Transportation: For the last five people headed to the White House for the first time, these were low on the priority list. On average, they came shortly before Christmas. Stars and Stripes: Twenty Veterans groups petition for McDonald to remain VA secretary. In a letter sent to Trump on Wednesday, the groups said the veterans community “cannot afford to start over” on a transformation of the VA that McDonald has initiated in his two years in the post. They noted McDonald’s “MyVA” reform program, which has been touted as improving veterans’ trust in the agency. The Columbus Dispatch: Brown urges Trump to retain McDonald at VA. Sen. Sherrod Brown, D-Ohio, today urged President-elect Donald Trump to keep Bob McDonald as secretary of the U.S. Department of Veterans Affairs. “I have urged him to stay,” Brown said of McDonald, former chief executive officer of Procter & Gamble in Cincinnati. “He has done a good job.” The Cincinnati Enquirer reported today that McDonald is a leading candidate to be named the next president of the University of Cincinnati. KTAR (CMN-92.3): VA deputy secretary spends day in Phoenix speaking to Veterans in town hall setting. Veterans in Phoenix had a chance Tuesday afternoon to meet the some of the leaders in the Veterans’ Administration Health Care system in a town hall setting. This was the fourth visit to Phoenix in four months by the VA’s deputy secretary Sloan Gibson. Gibson said progress has been made since a scandal two and a half years ago that exposed inordinately long waits at Phoenix’s VA hospital, some of which proved to be deadly. Military.com: Nurse Practitioners to Treat Vets Without Doctor Supervision. The Veterans Affairs Department beginning next month will allow certain nurse practitioners to treat veterans without the supervision of doctors across the agency for the first time. The move is designed in part to shorten wait times for patients who are seeking treatment in underserved areas with physician shortages, according to a rule published Wednesday in the Federal Register. American Journal of Managed Care: VA Rule Expanding Practicing Authority of Nurses Draw Mixed Reactions. The Department of Veterans Affairs (VA) healthcare system has announced the finalization of a rule that will grant full practicing authority to some types of advanced practice registered nurses (APRNs). Several medical groups have released statements in praise or criticism of the rule, which now excludes nurse anesthetists. WFED (AM-1500, Audio): Can VHA handle growing influx of female Veterans? The nation’s veteran population is gradually becoming more female. But it’s unclear whether the Veterans Health Administration is equipped to deal with the particular medical needs of female vets. It’s got the policies all right, but not always the facilities. Or the providers. That’s according to a new assessment by the Government Accountability Office. Randy Williamson, director of health care issues at GAO, has more on Federal Drive with Tom Temin. Tampa Bay Times: Congress wants answers from AV on Veteran left in shower after death. The House Veterans Affairs Committee is demanding that Veterans Affairs Secretary Robert McDonald answer questions about a veteran whose body was left in a shower room at the C.W. Bill Young VA Medical Center hospice for more than nine hours in February. The veteran, whose name has not been released, died Feb. 1 at the hospice, and an internal investigation found that some staff violated hospital and VA rules, then tried to cover up their mistakes. Palm Beach Post: Heads roll at VA for forgetting about deceased Vet’s body. A Veterans Administration hospital in Tampa Bay says it has fired two staff members for forgetting about the body of a deceased vet. The body was left unattended for more than nine hours in a shower room at the hospice unit of the Bay Pines VA Health Care System. Some staffers violated hospital and VA rules and then tried to cover up their actions, Florida Health News Reports. Kaiser Health News: COBRA, Retiree Plans, VA Benefits Don’t Alleviate Need to Sign Up For Medicare. When Cindy Hunter received her Medicare card in the mail last spring, she said she “didn’t know a lot about Medicare.” She and her husband, retired teachers who live in a Philadelphia suburb, decided she didn’t need it because she shared his retiree health insurance, which covered her treatment for ovarian cancer. Outer Banks Sentinel: VA pushes research on prostate cancer. The headline on the Department of Veterans Affairs news release cited a grim fact: 12,000 veterans are diagnosed annually with prostate cancer. The VA’s partnership with the Prostate Cancer Foundation can’t come too soon. Their goal: to prevent, screen and promote research to speed the development of treatments and cures among veterans. Military Times Top 20 law enforcement agencies for transitioning veterans — new 2017 list. We all know from TV and movies what the police do — tell bad guys they have the right to remain silent, pull you over if you drive too fast, analyze data and make maps. Stars and Stripes AAFES to double card discount for fuel ahead of Christmas. The Army and Air Force Exchange Service, or AAFES, will be offering a 10-cent-per-gallon discount off fuel purchases made with a Military Star card at AAFES gas stations worldwide from Dec. 19 to 25. This is double the usual 5-cent-per-gallon discount the card usually yields. Congress Passes Major Veterans Bill: This week Congress sent major veterans legislation to the president for his signature. H.R. 6416, the Jeff Miller and Richard Blumenthal Veterans Health Care and Benefits Improvement Act of 2016, included numerous provisions related to several VFW resolutions. The bill expands eligibility for grave marker medallions to be issued by VA to include those veterans who died before November 1990. Another section of the bill provides for researching how the health of children of veterans exposed to toxic substances is impacted. Changes that make uniform the definition of homelessness were also included in the bill. These important provisions were 2016 Priority Goals for the VFW and their enactment into law would fully accomplish VFW Resolution 620, and partially accomplish Resolutions 619 and 621 which were approved at the 117th VFW National Convention. Additional legislation to require VA to pilot a self-scheduling program, to authorize VA to partner with non-governmental agencies to finance VA facilities, and to pay back money withheld from veterans discharged after January 17, 1991 who received severance pay also cleared Congress and awaits the president’s signature. This concludes the 114th Congress. The VFW looks forward to working with the 115th Congress to ensure the VFW’s 2017 Priority Goals are accomplished. To view the VFW’s 2017 Priority Goals, visit: www.vfw.org/advocacy/national-legislative-service. National Defense Authorization Act Clears Congress: Legislation providing $618.7 billion and a 2.1 percent pay raise for the military cleared Congress and was sent to the White House this week. The bill also includes a number the VFW’s 2016 Priority Goals, such as requiring DOD to formulate a process by which veterans who received Less-Than-Honorable discharges due to misconduct resulting from the effects of Post-traumatic stress disorder, Military sexual trauma (MST) and Traumatic brain injury are given a fair shake when appealing for discharge upgrade; calculating the military retirement owed to a former spouse based on the rank at time of divorce instead of at time of retirement; and improved reporting and treatment of service members who are victims of MST. The passage of this important bill also fully accomplishes VFW Resolutions 416 and 418 and partially accomplishes Resolution 410, which were approved at the 117thVFW National Convention. Military BAH Rates Set To Increase: This week, the Pentagon announced that there will be a 2.4 percent increase to the Basic Allowance for Housing it pays service members. The average increase will be $41 per month, which is also dependent on the rank of the service member and whether they have dependents. While not all regions will see an increase, there will be no decrease for those living in a region that does not get an increase. Further, this marks the third of a five-year plan that will increase the amount of burden that the service member would be responsible for when paying for housing. In an attempt to reduce personnel costs –– something directly caused by sequestration –– the average service members will have to pay three percent of housing costs out-of-pocket in a design which will increase to 5 percent by fiscal year 2019. The VFW continues to be strongly opposed to this plan as part of our larger opposition to sequestration. For more information on the BAH rate increase, go to: http://www.defensetravel.dod.mil/site/news.cfm?ID=73. Army VSO/MSO Roundtable: The VFW participated in a veteran and military service organization roundtable on Wednesday with Under Secretary of the Army Patrick Murphy, who was joined by senior officials from Manpower, Force Development, Army Review Board, Army Wounded Warrior Program and Soldier for Life. Discussions focused on the “Meet Your Army” campaign, discharge review boards, “Soldier 2020” gender integration, the future of the force and transition topics. WWI Centennial Commission: The World War I Centennial Commission was created by Congress to commemorate America’s significant role during the “war to end all wars,” as well as the subsequent rebuilding of war-torn Europe afterwards. Approximately 4.7 million American men and women served during World War I, with 2 million deploying “over there.” Sadly, 116,516 paid the ultimate price. The commission is engaging with communities across the nation, partnering with the History Channel and the Smithsonian museums, and designing a new National World War I Memorial in Washington, D.C. The VFW is fully supportive of commission initiatives, which include naming Quartermaster General Debra Anderson as a commissioner, identifying those Posts that are named after fallen WWI soldiers, sailors, airmen and Marines, publicizing America’s contributions in the VFWmagazine, and supporting the 100 Cities/100 Memorials matching grant challenge. Learn more at: http://www.worldwar1centennial.org/index.php. — Navy Seaman 2nd Class Floyd F. Clifford was assigned to the USS Oklahoma, which was moored off Ford Island in Pearl Harbor, Hawaii, when Japanese aircraft attacked his ship on Dec. 7, 1941. Clifford was one of 429 crewmen killed in the attack. Interment services are pending. Read more at: http://www.dpaa.mil/News-Stories/Recent-News-Stories/Article/1030547/sailor-missing-from-world-war-ii-identified-clifford/. — Navy Fireman 3rd Class Kenneth L. Holm was assigned to the USS Oklahoma, which was moored off Ford Island in Pearl Harbor, Hawaii, when Japanese aircraft attacked his ship on Dec. 7, 1941. Holm was one of 429 crewmen killed in the attack. Interment services are pending. Read more at: http://www.dpaa.mil/News-Stories/Recent-News-Stories/Article/1030832/sailor-missing-from-world-war-ii-identified-holm/. — Navy Seaman 1st Class Harold W. Roesch was assigned to the USS Oklahoma, which was moored off Ford Island in Pearl Harbor, Hawaii, when Japanese aircraft attacked his ship on Dec. 7, 1941. Roesch was one of 429 crewmen killed in the attack. Interment services are pending. Read more at: http://www.dpaa.mil/News-Stories/Recent-News-Stories/Article/1030550/sailor-missing-from-world-war-ii-identified-roesch/. — Navy Yeoman 3rd Class Edmund T. Ryan was assigned to the USS Oklahoma, which was moored off Ford Island in Pearl Harbor, Hawaii, when Japanese aircraft attacked his ship on Dec. 7, 1941. Ryan was one of 429 crewmen killed in the attack. Interment services are pending. Read more at: http://www.dpaa.mil/News-Stories/Recent-News-Stories/Article/1026982/sailor-missing-from-world-war-ii-identified-ryan/. — Army Air Forces Staff Sgt. Byron H. Nelson was a nose gunner aboard an American B-24G Liberator bomber with the 721st Bomb Squadron, 450th Bomb Group, 15th Air Force. During a bombing run near Varese, Italy, on April 25, 1944, Nelson’s aircraft and two others were separated from the formation due to dense clouds and later attacked by German fighters. Of the 10 crewmen, six parachuted from the aircraft and escaped capture, two parachuted and were captured by German forces, and two perished in the crash. Nelson was reported to be one of the two who perished. Interment services are pending. Read more at: http://www.dpaa.mil/News-Stories/Recent-News-Stories/Article/1027977/airman-missing-from-world-war-ii-identified-nelson/. — Army Air Forces Capt. Albert L. Schlegel, of Cleveland, Ohio, disappeared Aug. 28, 1944, while piloting his P-51D Mustang on a ground strafing mission near Strasbourg, France. In his final communication, the fighter “ace” radioed he’d been hit by heavy anti-aircraft fire and would need to bail out. Interment services are pending. Read more at: http://www.dpaa.mil/News-Stories/Recent-News-Stories/Article/1027011/airman-missing-from-world-war-ii-identified-schlegel/. — Army Cpl. Gerald I. Shepler was the lead scout on a reconnaissance patrol for Company K, 3rd Battalion, 187th Airborne Infantry Regiment, 7th Infantry Division, near Hajoyang-ni, North Korea, when his patrol was ambushed by enemy forces. Shepler was unaccounted for after the mission, and the U.S. Army declared him deceased on Nov. 29, 1950. Interment services are pending. Read more at: http://www.dpaa.mil/News-Stories/Recent-News-Stories/Article/1027031/soldier-missing-from-korean-war-identified-shepler/. — Army Sgt. Homer R. Abney was a member of Company A, 1st Battalion, 9th Infantry Regiment, 2nd Infantry Division, when his unit was engaged in heavy fighting with Chinese forces on the road from Kunu-ri to Sunch’on, North Korea — later named “The Gauntlet.” After several days of fighting, his regiment declared Abney missing on Nov. 30, 1950. Interment services are pending. Read more at: http://www.dpaa.mil/News-Stories/Recent-News-Stories/Article/1027019/soldier-missing-from-korean-war-identified-abney/. — Army Cpl. James T. Mainhart served with Company I, 31st Infantry Regiment, 7th Infantry Division, part of the 31st Regimental Combat Team deployed east of the Chosin Reservoir in North Korea. The RCT was attacked by an overwhelming number of Chinese forces in late November, 1950. Mainhart was among 1,300 members of the RCT killed or captured in enemy territory. He was reported missing as of Nov. 30, 1950. Interment services are pending. Read more at: http://www.dpaa.mil/News-Stories/Recent-News-Stories/Article/1027973/soldier-missing-from-korean-war-identified-mainhart/. — Army Cpl. Edward Pool was reported missing in action on Nov. 30, 1950, while serving with 31st Heavy Mortar Company, 31st Infantry Regiment, 7th Infantry Division. His unit was part of the 31st Regimental Combat Team deployed east of the Chosin Reservoir in North Korea. Pool could not be accounted for after several days of intense fighting. Interment services are pending. Read more at: http://www.dpaa.mil/News-Stories/Recent-News-Stories/Article/1027047/soldier-missing-from-korean-war-identified-pool/. — Army Cpl. Jules Hauterman was a medic with the Medical Platoon, 1st Battalion, 32nd Infantry Regiment, 7th Infantry Division, attached to the 31st Regimental Combat Team deployed east of the Chosin Reservoir in North Korea. The RCT was attacked by an overwhelming number of Chinese forces in late November, 1950. Mainhart was among 1,300 members of the RCT killed or captured in enemy territory. He was reported missing as of Dec 2, 1950. Interment services are pending. Read more at: http://www.dpaa.mil/News-Stories/Recent-News-Stories/Article/1030834/soldier-missing-from-korean-war-identified-hauterman/. — Army Cpl. George A. Perreault was part of Support Force 21, assigned to Headquarters Battery, 15th Field Artillery Battalion, 2nd Infantry Division, near the Central Corridor in South Korea. While supporting Korean-led attacks on Chinese forces, they were caught in a massive Chinese counterattack on Feb. 11, 1951. Perreault was declared missing on Feb. 13, 1951. Interment services are pending. Read more at: http://www.dpaa.mil/News-Stories/Recent-News-Stories/Article/1029293/soldier-missing-from-korean-war-identified-perreault/. POLITICO Morning Defense for Friday, December 16, 2016. A Daily Briefing from Inside Washington’s National Security. POLITICO Morning Defense for Thursday, December 15, 2016. A Daily Briefing from Inside Washington’s National Security.